Horizon Yacht Charters BVI are pleased to make recommendations for BVI hotels, for before or after your BVI yacht charter. If you’d like luxury shore-based accommodation, Horizon also has a range of luxury BVI villas that are hand-picked to ensure top quality amenities. 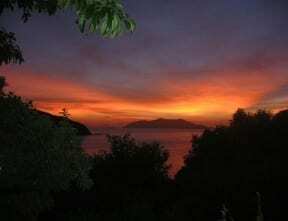 Please take a look at some of our recommended BVI places to stay below. You can contact Horizon BVI for more information. The Sugar Mill Hotel is set amid lush tropical surroundings, nestled on the northern shore in Little Apple Bay, the Sugar Mill is the perfect place to relax & enjoy the beautiful British Virgin Islands. The Sugar Mill is separated from the beach by a small country road, and all of the rooms are a minute’s walk to the beach. A circular fresh water swimming pool is nestled among swaying palm trees offering a refreshing alternative to the beach. All 23 rooms have air-conditioning, ceiling fans, kitchenette (microwave only), iron and ironing board, hairdryers, clock radio and telephone. Please contact us for more information on this destination or any other recommendations regarding BVI Hotels. Nanny Cay has a charming forty- room hotel nestled in a tropical oasis garden setting in the heart of Tortola’s favourite marina. Standard studios have two full sized beds. Deluxe studios have two queen sized beds, a seating area and larger floor space. Lastly, the Deluxe suite which has a master bedroom and separate living room, two bathrooms and boasts the best views overlooking the marina.